We believe that an ounce of prevention is worth a pound of cure, and offer natural alternatives to today’s pharmaceuticals. Call us concerning our herbal supplements and our ‘USANA’ line of low-glycemic nutritional food supplement products. Just because you’re aging doesn’t mean you should feel or look like it. The experts at The Methuselah Center know that bodily pain is a warning that something is wrong with your body. That pain can lead to stress, which will inevitably lead to disease, a poor quality of life, and even a loss of income. 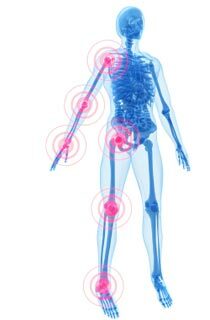 With our wide array of pain management techniques, we can release the muscles that cause stress, and relieve the pain that comes with it.